I was relieved and happy to see the numbers starting to go down for a change. It still seems like slow progress, but as Rick says, it’s going in the right direction. TGIF. I worked four 10-hr days Monday thru Thursday, so my weekend began yesterday. Rick and I started our day at the Toast diner. 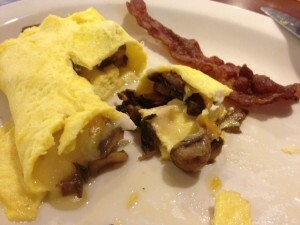 I tried a 3-cheese mushroom omelet with a side order of crispy bacon, and it was very tasty. I forgot how much I used to enjoy mushrooms with my eggs. Around noon, we worked on cleaning out the garage and I skipped lunch. After going to the funeral home to see a coworker whose mother passed away, I was tired and hungry and didn’t feel like doing much, including tiling the floor as I had originally planned. We stopped to get some groceries then headed home. I heated up 2 Beddar Cheddars with a side of almonds and had a quick nap. I didn’t have much for dinner: some microwaved cheese chips with guacamole. A few hours later, I had quite a few carbs left so I made 2 pieces of low carb toast with almond butter. I was really busy at work, so I ate a late breakfast yesterday. I had the usual egg bowl made by Rick, which is a really convenient and delicious start to my dad. I had a “midmorning snack” at around 1, then ate a boring lunch: two hotdogs on a plate, topped with mustard. That’ll teach me to plan ahead. By dinnertime I was looking for something different. I decided to adapt my taco salad recipe to the keto plan. I cooked ground beef, added onions and black soy beans. Those are the only type of keto-friendly bean I have found. They are okay tasting, will help me get more fiber into my diet, and make a nice filler for mexican meals. 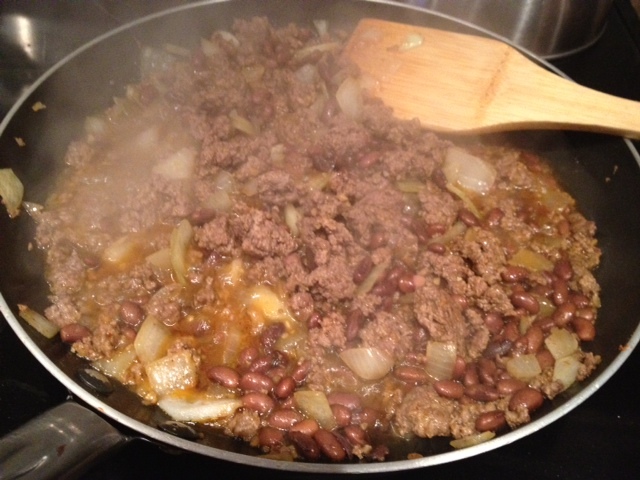 I added taco seasoning and simmered it all together. 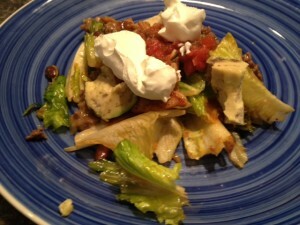 I ripped up some lettuce, added grated cheese, and topped with the beef mixture. Then I sliced up an avocado and put it on top. 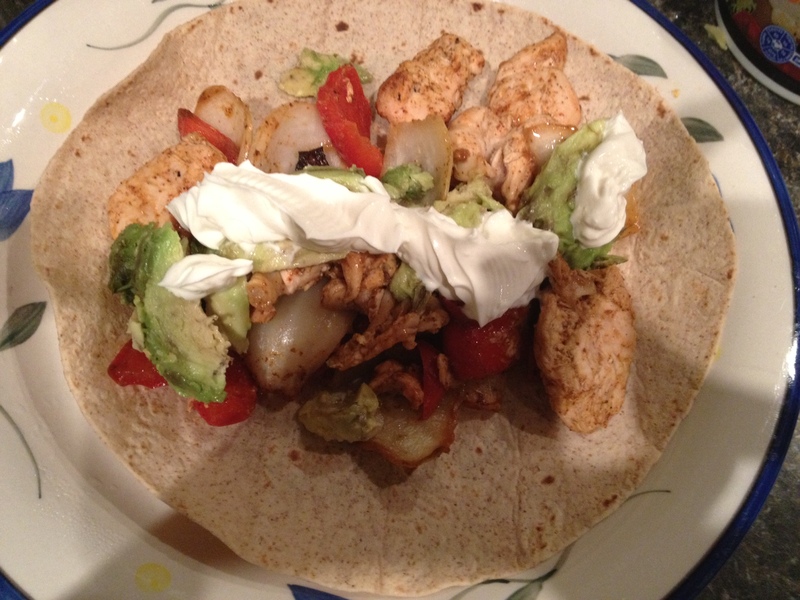 I used 2 Taco Bell taco sauce packets, because those are low carb. The only thing missing was the crunchy bag of Doritos. I cut a Flatwrap into triangles and sauteed in olive oil until mildly crunchy and broke a few up and tossed them into the salad. Of course, I topped it all with a dollop or two of sour cream. The result was meh. It tasted just okay. I think there were too many tasteless items and not enough spicy ingredients to make up for the missing Dortitos. It wasn’t terrible, but it wasn’t nearly as good as traditional taco salad. Experiment #1 was a failure. Oh, this is much better. It’s been 4 days since my last weigh-in and I’ve lost 2 pounds. I will now continue to weigh in only once a week, on Saturdays. I knew logically that if I continue to eat on this plan, I will lose weight, but going up and down a 1/2 pound or a pound at a time was very frustrating after eating nearly perfectly to the ketogenic plan. Seeing bigger numbers once a week should be much more satisfying. I only needed to go into work for 4 hours yesterday, so Rick and I had a leisurely breakfast at the diner. I chose the spinach/feta/tomato omelet with 4 pieces of bacon. It was a filling start to the day. After work, we went to Costco. I walked through the cheese and dip section looking at the carb count on all the products. 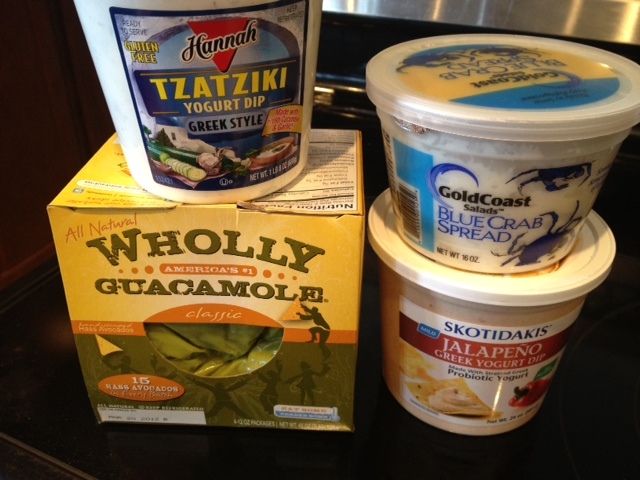 I purchased the tzaziki sauce (2g), a jalapeno yogurt dip (1g), a crab dip (1g), guacamole (1g), and of course, Dubliner cheese. I’ve been eating a couple of avocados a week, but they spoil quickly. I’ve had the Costco guac at my friend Walter’s house and it was pretty good, so I thought the guacamole would be more cost-effective than avocados, due to the individually wrapped portions. I walked through the cracker/chips aisle hoping to find something low carb, to no avail. Nothing good in the frozen section, except the vegetables, of course. I thought I might find pre-made eggplant lasagna or something like it, but nope. I looked at the nutritional info on so many items, that I automatically checked the back panel on the shampoo I was looking at! Oops. After making it through Costco for just under $200, we were both hungry. (We NEVER get out of there without spending lots of money, but we do have plenty of toilet paper and paper towel!) I had been craving a 5 Guys burger earlier in the week, so we dropped in there. Rick was concerned that I would be tempted by the french fries, but I’ve never been a big fan of theirs. 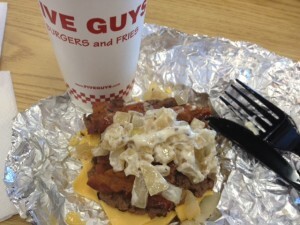 I ordered a bacon cheeseburger (the 2 patty version) with mayo and double grilled onions (no charge). I wasn’t sure if their relish is sweet pickle or regular pickle and the sweet type has a few more carbs, so I passed on the relish. Rick automatically ordered two pops, so even though I’ve cut down drastically on my diet soda intake, I decided to live it up! They had a cool new pop dispenser and I found Coke Zero lime, which was really a treat. Back at the table, I removed top and bottom bun (of course) and ate with a knife and fork. It was a flavorful experience, and I ate slowly while finishing a crossword puzzle. Low carb, good flavor, win, win. After a visit with my dad, we went home for the evening, and I headed to my office to work on client websites. We’re also updating our own website. It’s been a few years since we revamped it, and we were never really satisfied with the lack of information on the original site (the shoemakers children, etc.). 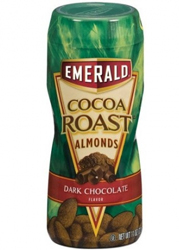 While working, I snacked on some cocoa-flavored almonds. They were just okay, but I could see how they might be a nice treat if I am ever craving a chocolate fix. For dinner, I reheated the other half of the Indian butter chicken and cauliflower, topped it with sour cream, and enjoyed it just as much as I had the day before. Dessert was chocolate mousse. In three days, I will have been eating on this plan for 6 weeks and so far I’ve lost nearly 15 pounds. 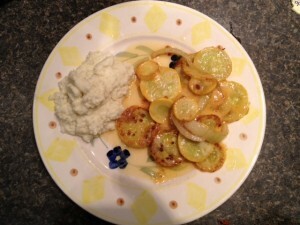 I think I have gone over on my carb count 1 or 2 times – barely – and I have enjoyed many many of the meals. I have more energy, and it’s pretty thrilling to feel my clothes get looser. I haven’t had this much success on any of the past 5 or 6 attempts to cut calories and exercise. Viva keto! Saturday mornings Rick and I like to go to the local diner. It’s our “celebrate the weekend” thing to do. The keto plan works well for breakfast anywhere; as long as there are eggs and sausage or bacon, it’s easy to start the day on plan. After a breakfast of sausage and cheese omelet, we headed out to do some errands before it was time to pick up my friend at the airport. 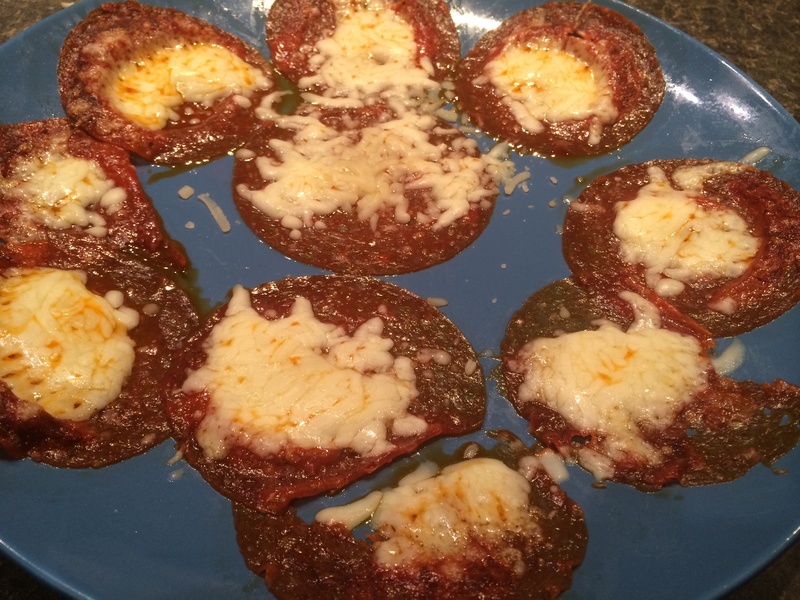 Jo and I were due at our trivia league finals, and before leaving home, I had an early afternoon meatloaf and cheese (1/2) low carb wrap. Dinner was the highlight meal of the day. 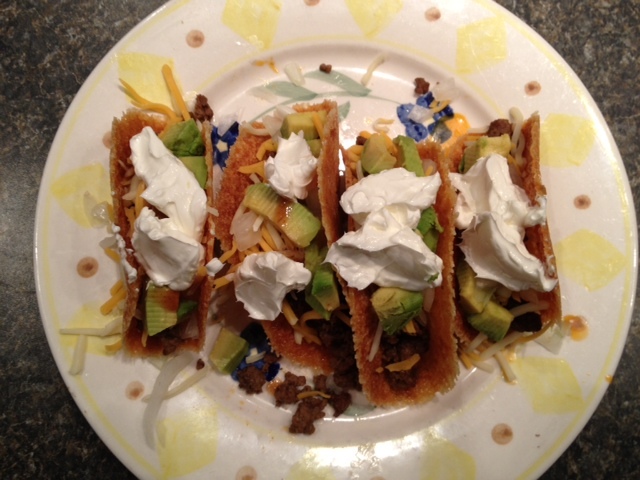 I fried some ground beef with taco seasoning and made cheesy taco shells. While I was waiting for the meat to cook, I also threw together a pot of some Cincinnati chili with ground turkey, while I was cooking today’s dinner…I’m trying to get ahead on the meal plans so I have some quick choices when I’m hungry. When the shells were ready, I put a couple of ounces of taco beef, shredded cheese, onions, and sour cream in each taco. 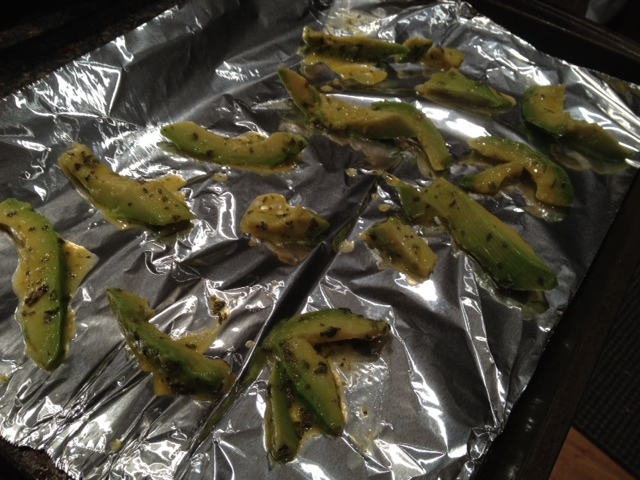 Then I pitted and chopped up an avocado and topped each some of that. The result was the best tacos I’ve eaten in a long time. I’m not sure if it was the cheesy shells, the fact that I used beef instead of my normal ground turkey, or the avocado topping, but they were very very tasty. I’m still amazed that I can each rich, delicious foods like this and continue to lose weight so quickly. I guess I was “allergic” to carbs? This is by far the easiest diet to adapt to that I’ve come across. At the most, I think I’ve lusted over the idea of some steak fries. Besides that, I’d like to find some type of low-carb bread, but I’m not missing that too much so far. Yesterday was pretty haphazard in terms of structured eating, and my normal routine. They’re keeping dad at the hospital, in fact may be taking him to a facility to stabilize him mentally before sending him home. I know we are all a little relieved, because the stress level in two households is pretty high. I still have a respiratory ailment, so I didn’t go visit. I also didn’t feel like eating much, but I know I should keep up the calories and fat (who would ever expect THAT statement on a diet?). I had 2 eggs fried in coconut oil with a side of bacon for breakfast, and lots of water – which will help my diet AND my illness. Still not hungry by late afternoon, and sorely needing a nap, I grabbed some BBQ pork rinds and used them to scoop up some spinach, artichoke, parmesan dip, then softly drifted off to sleep. Waking refreshed (in the EVENING. lol), I was pretty famished. I think I had only consumed about 4 carbs so far. I’m trying to get more fiber, so I looked to find a good source. Avocado! 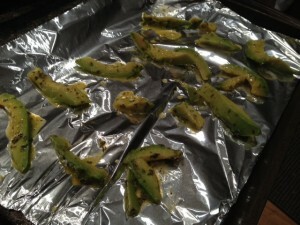 Back to my trusty Ipad …I found a recipe for avocado fries. It was simple and tasty. 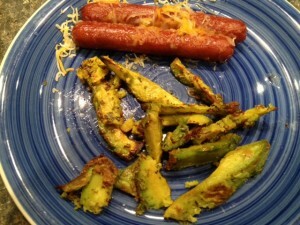 I think my avocado was a couple days too late to end up with crispy fries, but they were easy to eat with a fork. 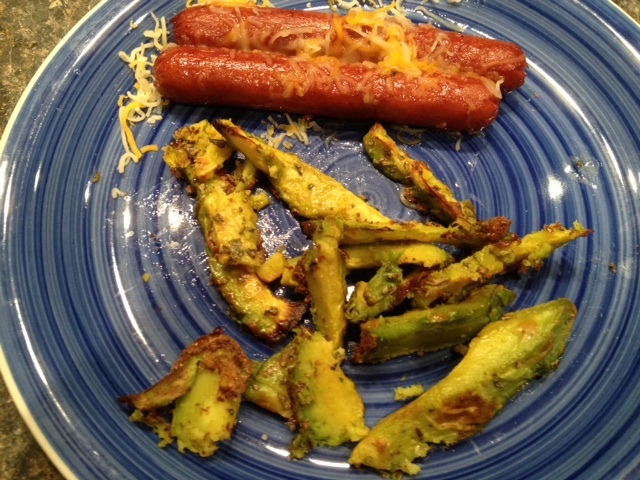 I combined with 2 Hebrew National dogs fried in coconut oil and an arugula salad with Caesar dressing. YUM. I finished off the night with even more fiber by slicing up 1/2 cup of strawberries to add to my whipped heavy cream dessert. Rick agreed that it was delicious.